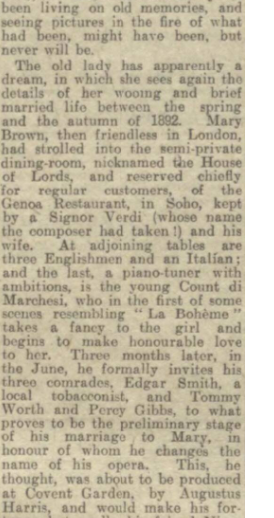 From The Era - Wednesday 08 February 1928. 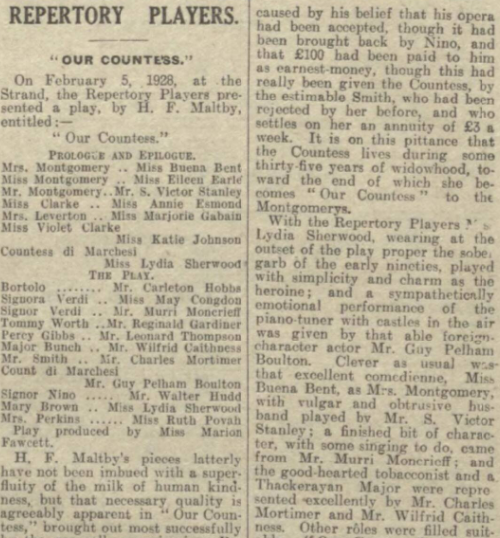 The production was a single performance, in which the Countess reflected on the year 1892, and her own life. 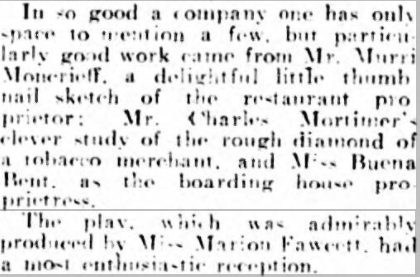 Charles Mortimer played Mr Smith, in the production of "Our Countess", at the Strand Theatre, 1928. 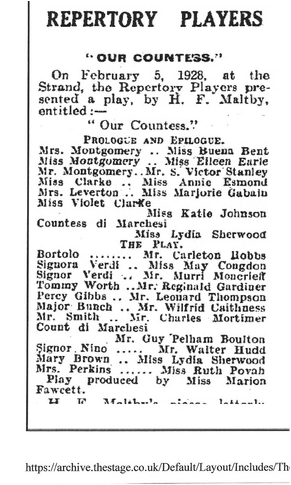 From The Stage of 9 February, 1928.